Greetings and welcome to the 2019 season! WCC's 37th Annual General Meeting took place on 25th March 2019, with participation of most of honorary, active and passive members. Of note were the elections of new committee members, Club Secretary Kasun Munasinghe and Social Secretary Sahan Lakshitha. The rest of the committee comprises President John Hallam, Vice-President Alex Mackay, Treasurer Jiten Patel, Club Captain Mohamed Sameel and Ordinary Members Adam Pratt and Chris Lodge (AGM minutes to follow). Members also voted to keep membership fees the same as last year. As in previous years, we acknowledge & welcome donations from members too. Please help us out by paying your fees by 26th April 2019. (Please note that only active members who have duly paid their membership fees will be considered for the CSPL and PickwickT20 tournaments starting from end of April). WCC has started the season in a high note even before the official net practice begins, beating two strong oppositions Berne CC and Zurich Nomads CC in the clubs pre-season warm-up matches. Official net practice begins on 3rd April at Deutweg and will take place every Wednesday 6-9pm. 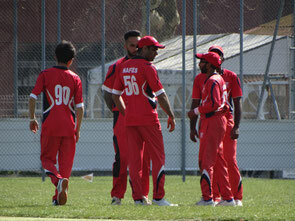 In addition to the CSPL & PT20, the WCC are invited to partocipate in two main tournaments: Zuoz Cricket Festival which will be on 22-23rd June and Prague Pepsi Cup on 05-08th September. Check out the website for updated competitive, friendly and tour fixtures. I look forward to seeing you during the course of the season. Good luck & have fun!